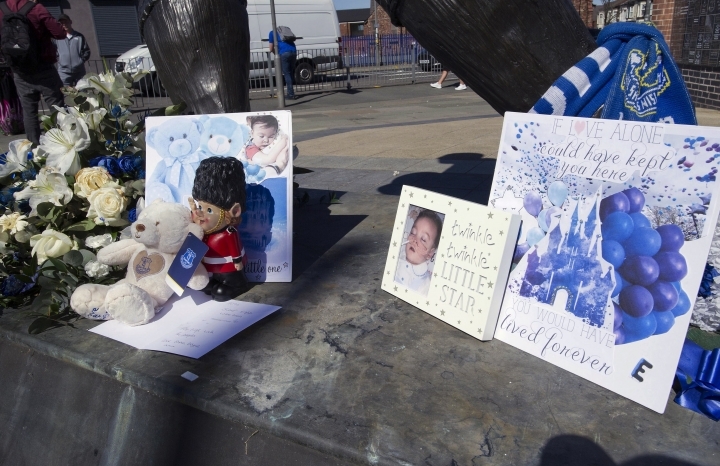 LONDON — Hundreds of mourners have gathered in Liverpool to say goodbye to Alfie Evans, the British toddler whose parents fought an unsuccessful legal battle to keep him on life support. 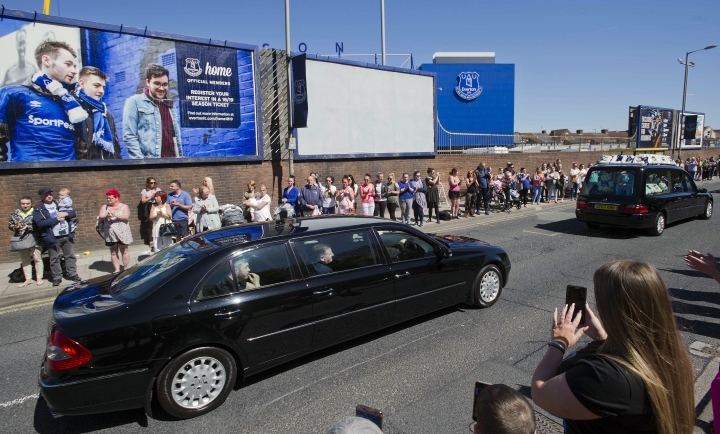 People applauded as the boy's funeral cortege passed the Everton Football Club stadium Monday after a private family funeral. 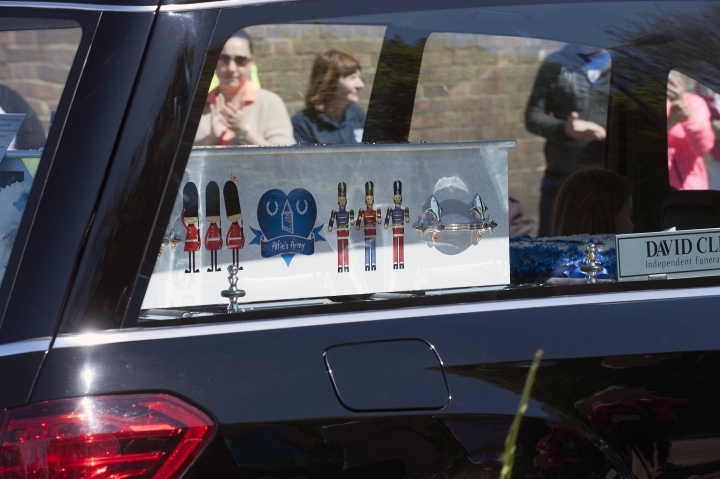 Inside a hearse, Alfie's coffin was decorated with images of toy soldiers and the Everton logo. 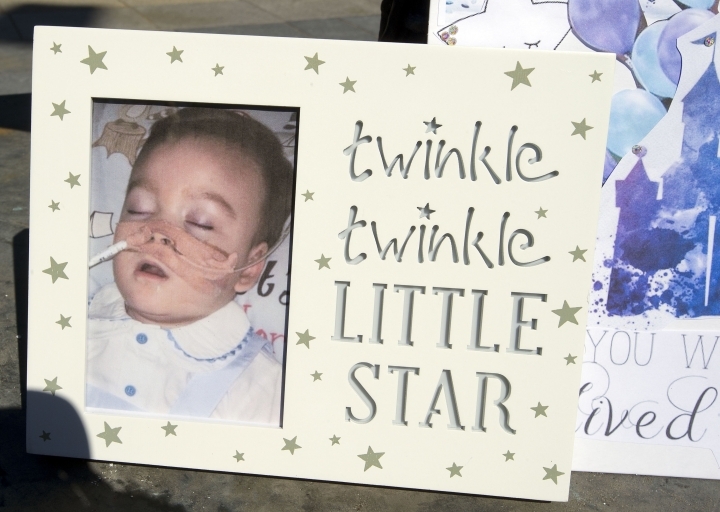 Alfie had a degenerative neurological condition that left him with almost no brain function. His parents fought in court to take him to the Vatican children's hospital and gained support from the pope. 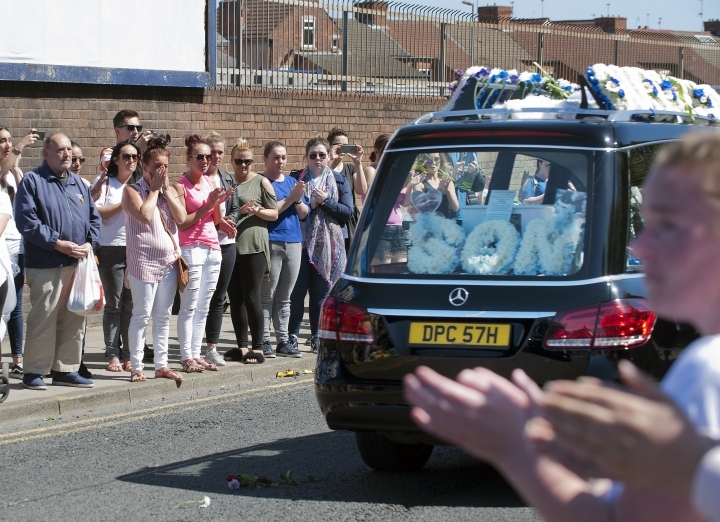 British judges agreed with doctors that more treatment was futile. 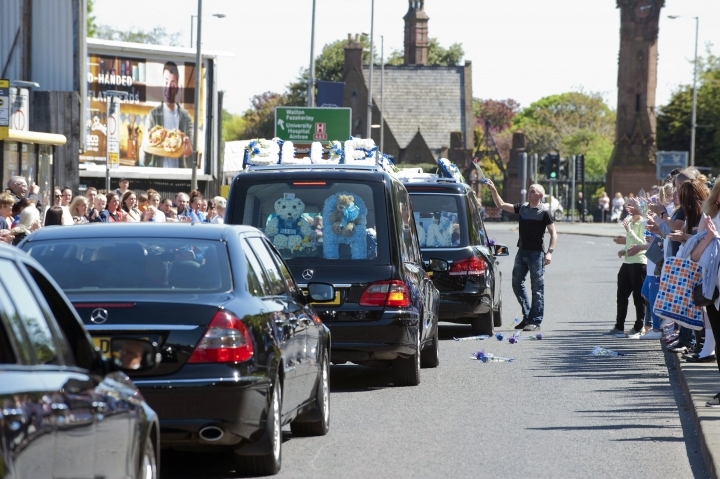 Alfie died on April 28 at the age of 23 months. The case sparked an international debate on medical ethics.